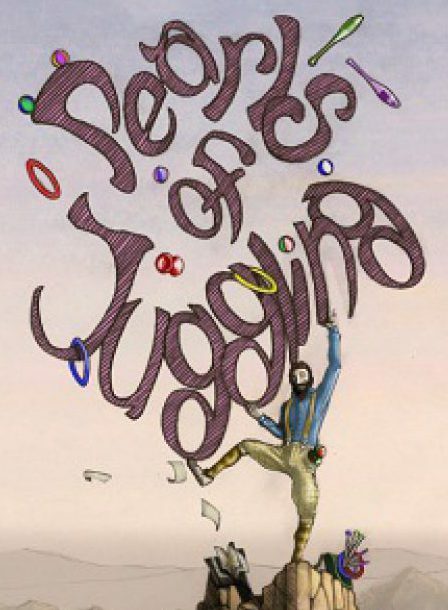 Juggling Adventures – Workshops and Retreats – Pearls of Juggling – The book, Workshops and more. 2019 Dates soon to be announced. Places are limited, sign up to the newsletter for the best way to keep updated as well as access to new articles and a free chapter of Pearls of Juggling. Join me for a Juggling Adventure!!! in a old stone farm building surrounded by nature, far away from distractions, a full immersion into the Art of juggling, in a friendly and inspiring environment. 11-15 June 2018 [movement and juggling] – Physicality of Juggling The basis of creative and expressive juggling. All work is specific for jugglers and flow artists. Juggling and movement. Inspired training. Qi Gong, Tai Chi and Yoga. Laban. Musicality. Creation of sequences and mini routines. Move and juggle with increased confidence and presence. New training ideas. Tap into your creativity while having more fun. 10-19 August 2018 [complete fluid juggling and act development] – Pearls of Juggling International Summer School. Ten day intensive. All work is specific for jugglers and flow artists. Juggling and movement. Inspired training. Qi Gong, Tai Chi and Yoga. Physical acting and lots of improvisations. Creation of sequences, routines and act development. Gradually working towards the final presentation of original and new material. Perform with more confidence and originality while improving technique, creativity and expression. Willingness to learn and the desire to dive fully into the art of juggling in a group setting. A minimum basis of juggling with three objects is required but there is no maximum level. All lessons will be held in English. Meeting point at 3pm at Vaiano train station. Vegetarian meals will be prepared in turn by the participants. Please don’t worry about this, there will be help if needed. This becomes actually an important part of the work. Anthony Trahair explores the art of juggling for the last two decades. His residential seminars are exciting and surprising “melting pots” where the aim is to bring out the best of each participant. Anthony has studied Yoga, Qigong and Taiji since 1998 and graduated from the Dimitri physical theatre school in Switzerland in 2006. The work is technical and expressive, creative and profound. 2016 saw his book Pearls of Juggling published.